The last Event of the series is the Just Tri Get the 5K Out-of-the-way 5K run/walk. The Halloween Crazy Hat 5k/10K and the Jingle Bell Rock 5k/10K, have concluded, but you can still join the New Year's 5K! If you have completed the 5k/10K Series, you will receive the Series Medal. Or, if this is your first or second race of the Series, you will receive a Just Tri 5K Medal. The race includes a FREE 1-Mile fun run/walk for all ages. Bring your friends along and get your coolest swag of the year! A scarf and a medal if you do the 5K! Just Tri will be serving hot chocolate with 3 kinds of marshmallows to all participants including the 1-Mile athletes. Just 15 minutes south of Tacoma, these races take place on the beautiful trails of the 350 acre Fort Steilacoom Park. Get the Five 5K out-of-the-way.... start your New Year out right. 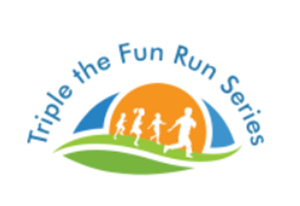 This 5K run is the third in the Triple the Fun Run Series. You will receive a warm Just Tri Scarf for the first 5K of the year. It will be 2018 and we might as well start our new year by completing the first race of year. Get the first 5K out of your way! Short and sweet! Fort Steilacoom offers a wide variety of paved and trail components as well several challenging hills. This 5K is very flat, and potentially a fast 5K. Other 5K’s that Just Tri has built, have included hills and challenged athletes making them test their grit. This course gives participants the opportunity for a really good run time. Starting with a couple turns to warm up, then a strait sprint on Angle road, continuing on in the “back areas” of the park. Pace yourself and get into the rhythm of the race here. Keep a mindful eye for dog walkers entering the dog park. Once participants get to Waughop Loop Trail, they can really open-up! Make time, lean into the turn and take advantage of the smooth surface. The finish line will be right there! Some participants asked if they can walk? Yes, feel free to walk. Strollers? Yes, we ask if you are pushing a stroller to appropriately place yourself and please use additional caution. Dogs? Of course! This a free event. The walk is free, parents may join, pets: bring them along! It will be flat and enjoyable. This race will start about 2 mins after the 5K. Please note to receive a scarf or Medal, participants must enter the 5K run or walk! Place awards for Male and Female on both races will be awarded. The past two races have been really competitive, so come ready to race! If you are completing the Triple the Fun Series, you will receive the newly designed series medal. Medals are hot of the press and are going to look great! If this is the only race of the series, you will receive the very beautiful and highly touted Just Tri 5K/10 Medal. This is being brought back in a limited edition and back by request. Sign up early to guarantee a medal and scarf. This trail is one of many within the 340 acres that make up Ft. Steilacoom Park, the largest park in Lakewood. Users will find a mostly flat, well-maintained trail to roam around the lake. There is a Labyrinth near the start of the trail as well as a historical path where you can find interesting historical facts. Waughop Lake is at the western end of this expansive trail system; a system that roams through and around prairie lands, historical barns, trails, sports fields, a playground, radio-controlled aircraft area for hobbyists and an off-leash dog park. Connect this trail with others to tour the entire park. From I-5 in Tacoma, south bound, take exit 129 ( S 72nd St.) Go west (right) on 74th in 2.3 miles 72nd becomes Custard. Go another 1.2 miles and turn right on Steilacoom Blvd. Go 1.5 west and turn left onto Elwood Drive SW. Turn right on Dresden Lane into park. From I-5 south of Tacoma, southbound, take exit 125 (Lakewood). Turn left onto Bridgeport Way W. Go north on Bridgeport Way W, crossing 100th St SW . Turn left on Steilacoom Blvd and go west; then proceed as above. Park at Dog Park, Register by barn. Final Registration will be 1/2 hour before each event. Race Belts will be for sale at event.